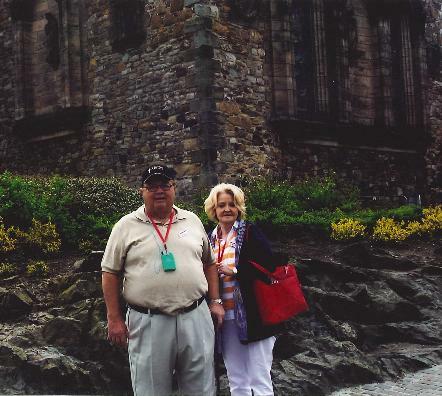 Recently, while on a trip to Great Britain, we visited iconic sites like Westminster Abbey, St. Paul’s Cathedral, Holyrood Palace, and St. Andrews. Our being means we are more than unreasoning animals. We are made in the image of God, and though fallen, we are given our being back by the sacrifice of Christ! So I must know who I am and understand my God-given talent, temperament and opportunity. My being can (and should) be filled with His Holy Spirit and His gifts. I can be more than I imagined. However, we can’t do that until we affirm ourselves. If you do not love yourself, you cannot love your neighbor. It’s time for we as believers to see ourselves the way God sees us. When we choose to deny self, we aren’t giving up anything. By setting aside the very thing that anchors us to death (our sinful nature) and taking up the cross, we are gaining infinitely more than we are leaving behind. The act of following Jesus is the ultimate act of being true to yourself… living the life for which you were always intended — the life for which you were created. But it is also not just about the individual… individual churches have being as well, and churches must be true to who they are and what they are positioned, gifted, empowered, and called to do. True human beings are all unique and special. Our churches are as well — each with its own unique calling. Let’s be something great for God — together!